These machines do not contaminate, have a constant speed, have high performance (approximately 75%), have high and constant torque (depending on the type of motor), do not need cooling or external ventilation (are self-ventilated), and in general, they are more efficient than their combustion equivalents. Knowing their importance in the industry, it is important to know some of the considerations needed when performing maintenance on these motors. Let’s see them below. The maintenance in any machine is of vital importance since it guarantees its correct operation, prevents some type of faults and even allows to increase its useful life. It can be classified as preventive and corrective. The preventive maintenance is performed periodically in order to verify its operation, as well as perform the procedures (adjustments, lubrication, revision, etc.) and replace parts recommended by the manufacturer based on the workload of the motor. This procedure is performed according to the activities of maintenance planning and should interfere as little as possible in its routine operation. On the other hand, corrective maintenance is performed as a consequence of a failure in the motor, therefore it is random in nature and usually causes interruption of the production process, it is important to minimize its effect to have the main spare parts needed for repair, as well as having qualified personnel for the task. For the conservation of the motors, both the electrical and mechanical components must be covered, since they are subject to continuous use, so they wear out and become contaminated with external elements. The electrical components (windings, brushes, etc.) have a routine of maintenance that consists on the revision of the connections, the change of the carbon brushes and the periodic measurement. For this task, it is required to use various instruments such as megohmmeter, micro-ohmmeter, multimeter, oscilloscope, and others. They allow obtaining values ​​of insulation, continuity, frequency, current, voltage, power and waveforms. Meanwhile the mechanical components such as: bearings, shaft and housing, have a conservation program that consists of cleaning the mechanical components, reviewing the bases and nuts of the motor, as well as taking measurements that allow evaluating the speed, the balance of the rotor, the torque applied by the load and the temperature. Inspect the engine at regular time intervals. Remove deposits of dust, oil, and dirt in the fan cover to maintain good ventilation and allow proper cooling of the motor. Observe the behavior of the seals. Observe the electrical, mechanical connections and the fixing bolts. Check the bearings paying attention to anomalous noises and vibrations. When there is a lot of bearing wear, replace them using a tool called extractor, then connect the new ones in cold or hot (oil baths) and lubricate them. Test the insulation resistance with a megohmmeter when the motor is without power and has a considerable time at rest. If it is necessary to disassemble the motor and access its internal parts, it requires the intervention of qualified personnel using appropriate tools and working methods. Clean windings with dielectric solvent and bake in infrared light when there is a lot of dirt in the coils to remove the corrosive substances, all in order to obtain better insulation resistance. Perform start-up tests once thorough maintenance has been carried out to verify its operation. The motor does not start: Check the voltages of the grid, fuses, contacts, correct connections (star or delta according to the terminal board and the load), voltages in the rotor, contact of the brushes, the circuit of the starting resistors and insulation of the windings. The current absorbed during operation is excessive: Check the load and replace the motor if it is small, if this is not the case, check the insulation, rings, brushes, resistance circuit and rotor winding to repair or rewind as the case may be. The motor overheats: Check load, clean grilles, ventilation slots, terminal board connections, and the stator winding. The motor smokes and burns: Check windings and always keep the ventilation circuits clean to repair or rewind as necessary. 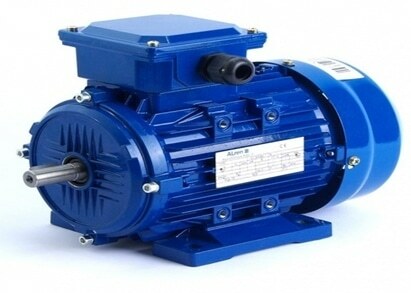 Electric motors are used in many installations (industrial, commercial and residential), thus they have several important applications that allow the propulsion of trains, automobiles, compressors, pumping systems, etc. For this reason, its maintenance is very important for the operational continuity of the processes carried out since its components wear out and deteriorate according to the volume of work as well as the passage of time. The main reason for preventive maintenance is to reduce the interruption of the service due to corrective maintenance, which is why adequate planning of preventive maintenance is essential in an electric motor. or copy this trackback: http://engineering.electrical-equipment.org/energy-efficiency-motors/maintenance-in-electric-motors.html/trackback from your own site.